A couple of months ago when I heard what the companion piece would be for our show I drew a blank. I would. I am a complete philistine. Now before you judge me too harshly, I do think that I have done a brilliant job of catching up from a wasted youth that consisted of a literary diet of mostly trashy romance novels. Sadly (and obviously) there are still gaping holes in my cultural and intellectual education. On the plus side there is a whole world of wonder still out there for me to tap into which you jaded old sophisticates have become cynical about. But back to the story. In a state of casual ignorance I told Bryan (light of my life, etc, etc, bla, bla, bla) that Juliska was directing a play called “Unveiling” by Vaclav Havel. Bryan gets all animated He says “Vaclav Havel? As in the first president of the Czech Republic? 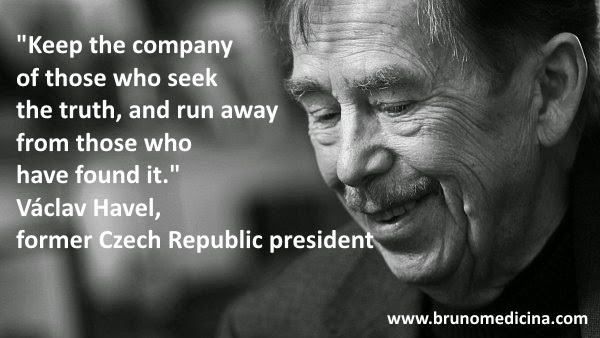 Statesman and philosopher, Vclav Havel?" I think to myself that with a name like that there can't be too many people with that name knocking about so I said, very slowly, "Yeassss that one." And then rushed off to do a whole bloody google search on the man. Wow pretty impressive fella and a playwright to boot. What I found particularly interesting was that he had written three plays that include the character of Ferdinand in them. Now of course I want to see them all. That is the problem with life, once you experience a bit of something you like you want a whole lot more of it. I was delighted with what I saw in the tech rehearsal and in the dress rehearsal. I loved the flow and structure of the script. I thoroughly enjoyed the treatment given to the play by Juliska and I squirmed in guilty delight while I identified with the characters so intuitively played by the talented cast. If you are honest with yourself, really honest with yourself, you will recognize a bit of you and your friends in the production. You might be high minded and choose not to identify with the characters of Michael and Vera, delightfully played by our friend Hani Yakan and newcomer Melissa Rae Brown, but I am afraid that there were definitely times in my life when I know there was a bit of them in me or is it me in them? 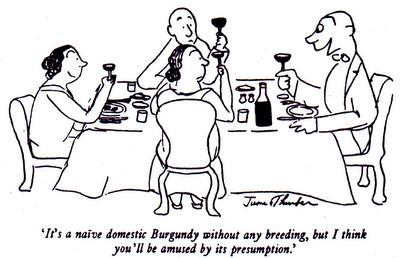 Conversely I found myself identifying with the poor unfortunate Ferdinand ( another newcomer and great find , Jesse Macpherson) maneuvering his way around a very awkward social visit. Although, truth be told, I am not sure I could hold my tongue for so long. Who approached who with the idea? One of my favourite genre is the Eastern- European grotesque. I love the Polish and Czech drama literature. It was a lucky coincidence that Cliff Singe suggested Havel’s plays to me even though he didn’t know about this passion of mine. It was the perfect suggestion. How did you come to the decision to direct this particular play by Havel and why not one of the other Ferdinand pieces? I choose this particular play because I believe it has a personal message to the audience, something that’s relevant to them. Not only entertaining and funny but will give us thoughts about ourselves and life in general. Even though it was written in Eastern Europe circa 1975 it’s valid to all of us now in 2015 in Dubai or anywhere else in the world. Our consumer society pushes us to buy everything, to have a nicer home, to be prettier, healthier, have a greater marriage and family life. Everybody is showing what they have and if you don’t have a fancy job then your life is a mess. You worked with Tamas ( Juliska's husband) on this production: What particular skills did the two of you bring to the show? Tamas is a pianist and composer but he is into music and video production as well. For myself, as I worked in theatre all my life, I concentrate more on live action and design in general rather than technical aspects of theatre. I come up with an idea and he knows how to put it into practice. We always wanted to find a platform where we can combine our form of arts and so we started to take photos and videos together. We created our project called Home Time Productions firstly to present what we do together and secondly to make photos and promo videos for artists. How did you come up with the design for the poster? The most important was to combine these two productions in a great balance. I saw “Zoo Story” once in theatre, and though I didn’t exactly remember the story, I knew the atmosphere is very similar to “Unveiling.” We wanted to show this atmosphere. And we found the bench/ couch as an emblematic set where all these normal/crazy actions happen can join up these two play visually. Then we tried to add each play’s remarkable items to it and shake it to the perfect unity. The Zoo Story’s trees extend to our room and the Unveiling’s lobster is crawling from the other side. We wanted to create a perfect balance to show the similarity and unity in Friends and Other Strangers. Any surprises for the audience in the producible that you can share? Our show will also refer to the social media society in a very fun way. It will refer to the fact that nowadays people live their life online posting how happy they are, fantastic they feel… etc. rather than actually spending quality time with their beloved ones. On Facebook and other social media sites everybody is beautiful, happy, successful and never lonely. But in the real life if you look at some friends hanging out you see them on their phone busy with posting pictures making, videos and making statements about what is happening instead of sharing those moments with their friends sitting right next to them. And if this has not whet your appetite then you are stone people, stone! Come on down to The Jam Jar between the 8th and the 11th of April for a really great evening of captivating theatre. 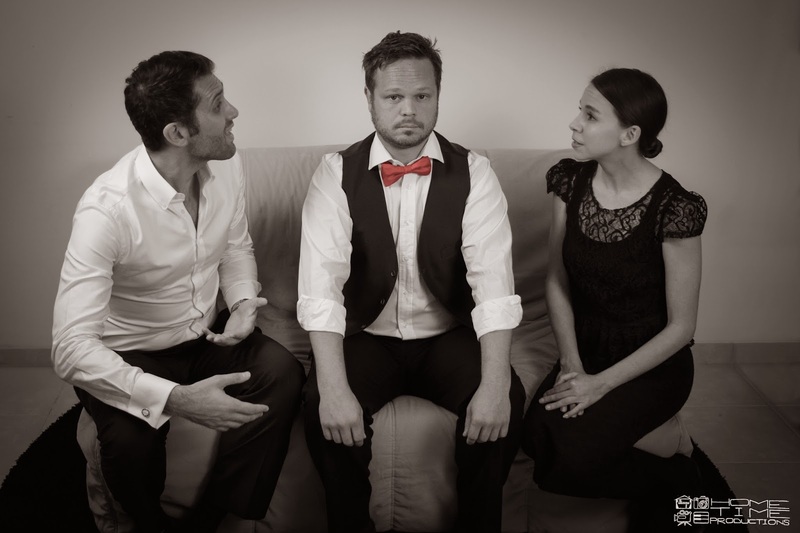 Remember that Unveiling is part of a two show evening being produced by the Dubai Drama Group. “The Zoo Story” is the companion piece which I am directing.